Buffalo Wild Wings might be known for an amazing selection of wing flavors, but they also serve up some delicious non-chicken dishes. The pepper jack steak wrap features tender sirloin topped with a southwest ranch dressing, fresh pico de gallo and pepper jack cheese in a flour tortilla. Serve with tortilla chips and salsa on the side. To prepare the southwest sauce—in a medium bowl whisk together mayonnaise, ketchup, horseradish sauce, paprika, salt, oregano, black pepper, and cayenne pepper. To prepare the pico de gallo—in a small bowl combine tomatoes, onion, jalapenos and cilantro. Add the lime juice and salt. Mix well. Cover and refrigerate for 1 hour or until needed. Season with steak slices with salt and ground black pepper. Add the steak to the pan and cook while stirring until the steak is fully cooked. (leaving about 1 to 2 inches from the sides without sauce). Place a slice of pepper jack cheese in the center of the sauce. Place ¼ of the steak on top of the cheese. Place some shredded lettuce over the steak and some pico de gallo over the lettuce. Bring the sides toward the center of the filling. Fold the bottom of the tortilla up over the filling and continue to roll until the wrap closes. Today I have a secret recipe for one of my favorite boneless chicken tender recipes. Buffalo Wild Wings features 16 sauces and 5 seasoning for their chicken wings. My favorite sauce lately has been the Asian Zing and I love it on the boneless chicken tenders. This sauce is both sweet and spicy with chili pepper, soy and ginger. In a large bowl, combine flour, salt, and black pepper. In a small bowl whisk together the egg and milk. Dip each piece of chicken first in the egg mixture, and then roll in the flour mixture. Repeat so that each piece of chicken is double coated. Refrigerate the breaded chicken for 20 minutes or longer for a crispier coating. To prepare the sauce: Dissolve the cornstarch in rice wine vinegar in a small bowl. Combine the vinegar solution with the remaining ingredients in a small saucepan over medium/low heat. Heat mixture, stirring often, until the sauce reaches a boil, the remove it from the heat. Set aside. Heat oil in a large, deep skillet to 375 F.
Fry the chicken in the hot oil in batches until the outside is nicely browned and fully cooked, 165 F., about 5 minutes per batch. Toss the chicken pieces with the sauce and serve immediately. Buffalo Wild Wings is a great place to watch the game and enjoy some fantastic wings with a selection of 16 signature sauces. With today’s secret recipe (shown below), you can bring one of their award-winning sauces to your home kitchen. Of course the classic buffalo flavor is always popular, but if you haven’t tried their garlic Parmesan sauce with Italian herbs, then you must. 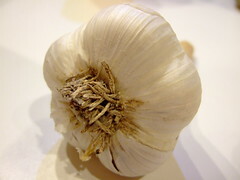 The secret to this sauce roasting the garlic to bring out its strong flavors. This sauce also makes a great dip for bread sticks and vegetables. Once you sample it for yourself, you will get all kinds of ideas as to how to enjoy this flavorful sauce. In a small baking dish, place the garlic and drizzle with the olive oil. Cover tightly with aluminum foil and bake 20-25 minutes, until garlic is tender and roasted. Meanwhile, mix the remaining ingredients, whisk until smooth. Once the garlic is roasted, let cool about 5 minutes. Crush into the sauce using a garlic press or by using the edge of a knife. Toss with your favorite wings.